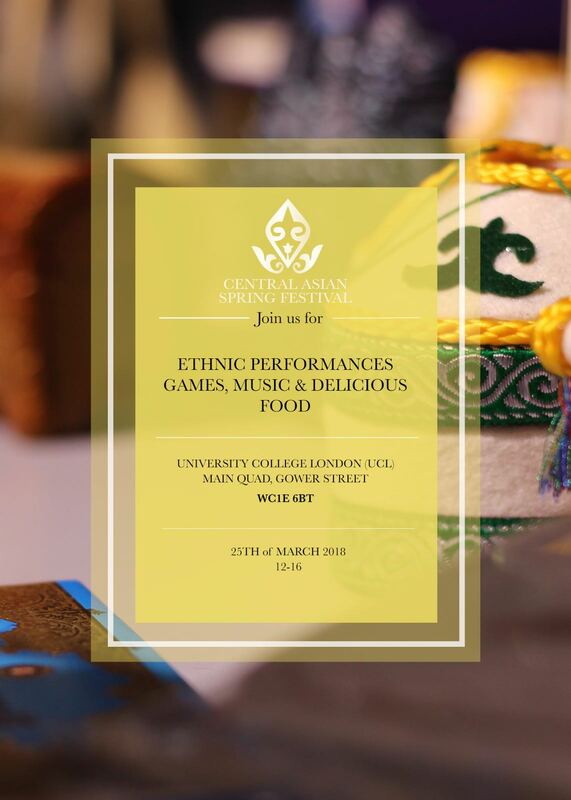 We are happy to invite you to our annual Central Asian Spring Festival (CASF) to celebrate “Nowruz” with us, a special day for Central Asian nations, signifying not only renewal of the nature but also unity of nations, which we would like to demonstrate on our festival. For Central Asians, “Nowruz” is the same as “New Year”, as both holidays are messengers of a new life. Even the name of the holiday “Nowruz” is translated from Farsi as a «new day». So we would like you to join us at this special day. 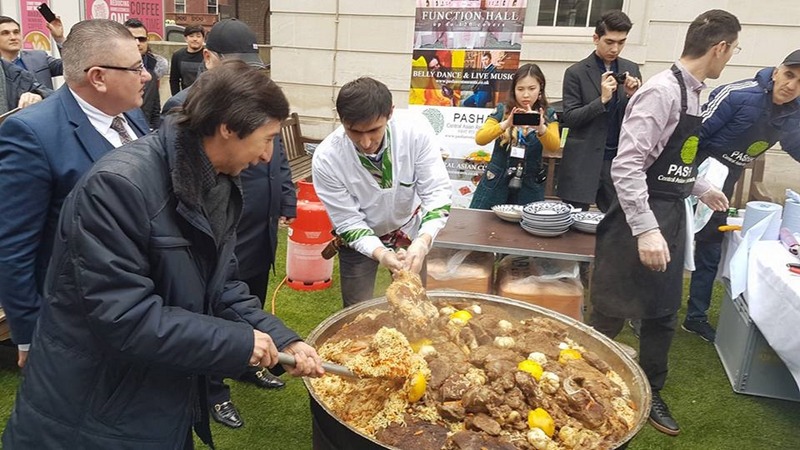 Do not miss out an opportunity to try different Central Asian cuisine, to participate in traditional wrestling called «Koresh», to enjoy exclusive concert programme with performers from Kyrgyzstan, Uzbekistan, Kazakhstan, Azerbaijan and many other. You are more than welcome to come dressed up and with good mood. This important cultural event unites people from diverse ethnic communities and religious backgrounds every year at the UCL Main Quad, and we would be honoured if you could attend our event on the 25th of March starting at 12 pm and till 4 pm. 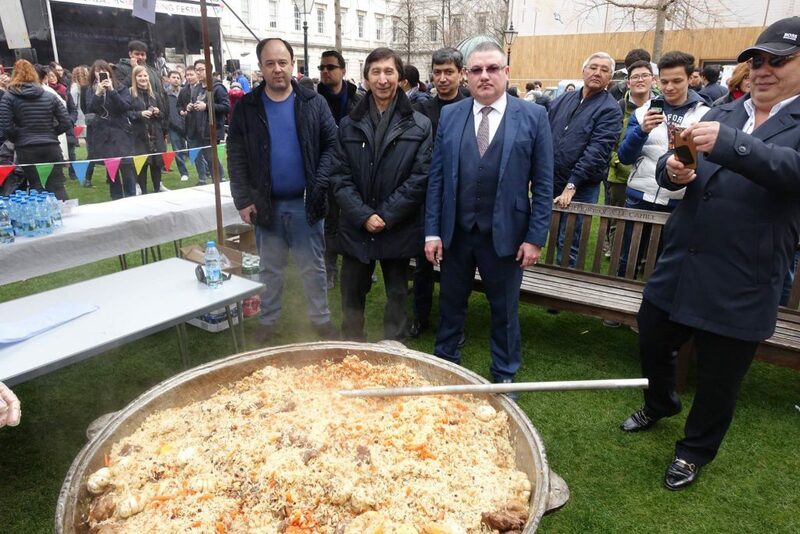 Since 2013, the UK Tatar Association is a sponsor of the Central Asian Spring Festival. Cast-iron cauldron with capacity in 200 liters – for 1000 people cooking Uzbek plov (Pilaf). 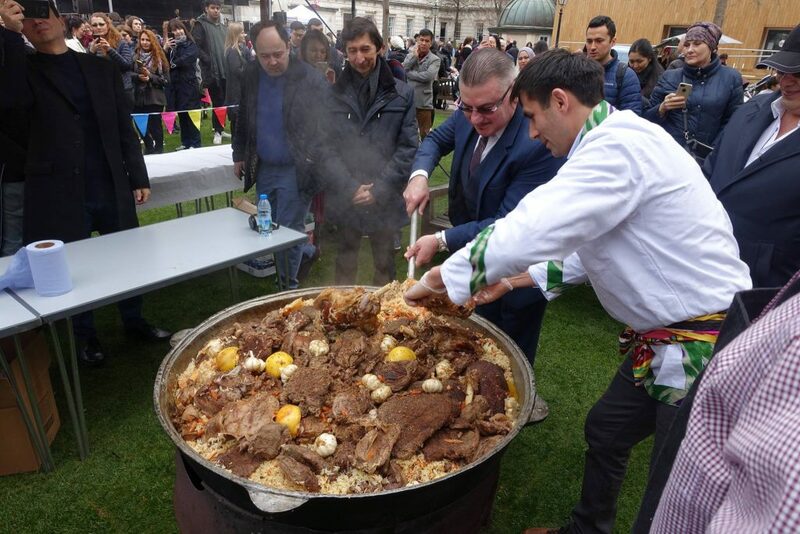 This is our commitment, and this year we also send our cauldron (kazan) to Nowruz in UCL, Muzaffar our famous chef in London will cook us a delicious plov under the leadership of Farruh Rasulov – Restaurant Manager “Pasha Kyrgyz Kazakh house”.